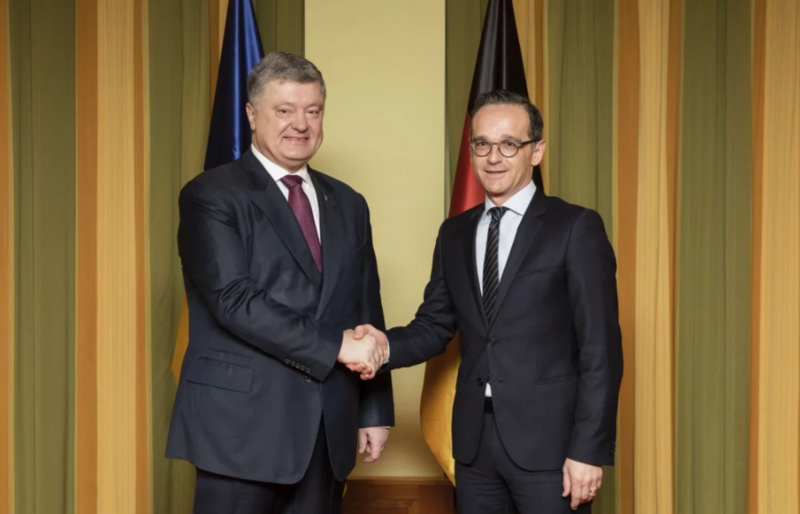 Heiko Maas, Germany’s Foreign Minister, is to visit Ukraine in the nearest future, as he stated at the meeting with Petro Poroshenko, Ukraine’s President, in Berlin, the press office of Ukraine’s President reported. “The Head of Germany’s foreign policy establishment confirmed his intention to visit Ukraine, including Donbas in the nearest future,” the message says. It was noted that the parties have coordinated the approaches to the prospects of the UN peacekeeping mission on the occupied territory of Donbas. “The crucial importance of the UN peacekeepers to be brought on the entire Donbas territory, including the Ukraine-Russia border, was mentioned. The importance of the work under the “Normandy format” and the need to prolong anti-Russia sanctions as a tool to impede aggression was stressed as well,” the representative of Ukraine’s President press-office added. Earlier, Pavlo Klimkin, Ukraine’s Foreign Minister, announced about Maas’s visit to Ukraine. “We agreed that we will do this (visit to Donbas) together with Germany’s Foreign Minister…It is important to realize not only the idea of Russia’s aggression, but to feel it as well,” Klimkin said. It should be mentioned that Maas is the Head of Germany’s Foreign Ministry since March 14, 2018. Maas replaced Sigmar Gabriel. Therefore, Maas is to represent Germany at the meetings of the Foreign Ministers in the “Normandy format” (Ukraine, Germany, France, Russia).